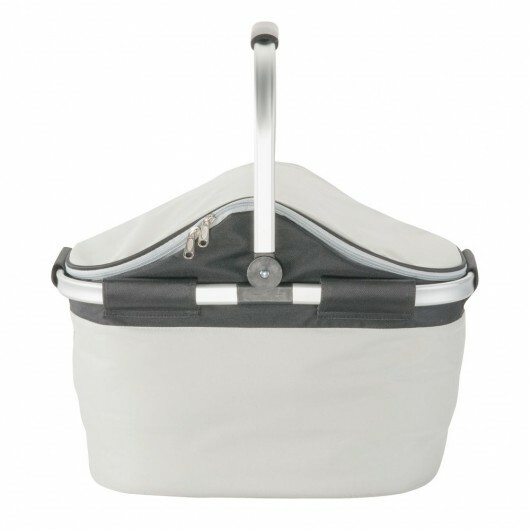 A practical picnic set that folds down to a compact size when not in use. 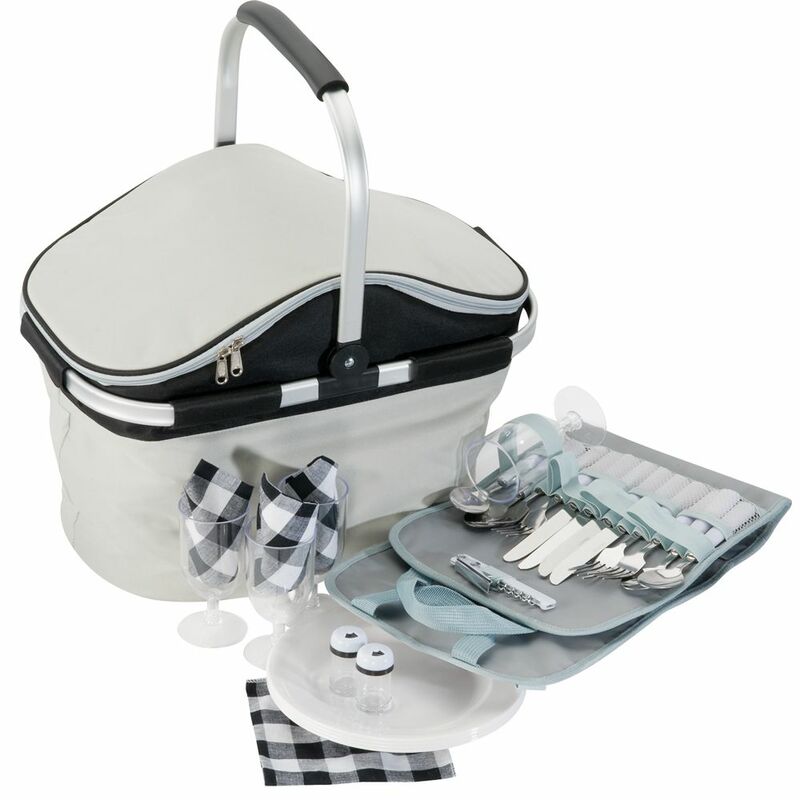 The ultimate, all inclusive picnic set that contains everything you need to create some special memories. 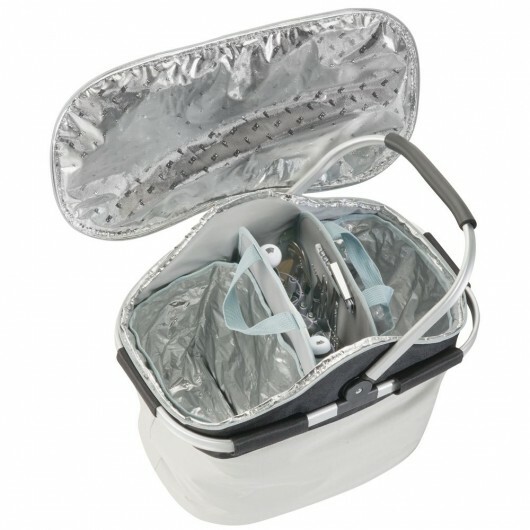 The innovative design features a folding metal frame, two insulated cooler sections and a complete picnic set. What's inside: 4x SS knife, fork and spoon, 4x 9" PS plate, 4x PS wineglass, 4x cotton napkins, 2x S&P shakers, 1x bottle opener. The carry bag is made from jacquard polyester and 600D polyester with aluminium foil lining. More decorations available including full colour print - price on request.